Somebody posting offensive things on here? Click on the exclamation mark in the their posts and report them to us. Located on the right under the word forum are the email and print buttons. You can email a friend or print out the page you are on. PM icons have been added there and now we can also send one PM to as many members as we want all at once. We can either use our friends list to add members to PM or we can use the search box to find members we want to send them to. I choose to BELIEVE that Jim Carrey did say, "I love this website so much that I could kiss all the females who post on it!" And I would like to reply, "I know that kissing you would be BLISS! I will post every day in the hope of winning your sweet kiss." :^l^; S M O O O O O C' H !! A lot of this stuff will be really helpful. Good stuff. Take a while to get used to it though. Not sure if anyone cares, but I fixed the board.html page and the latest forum posts on the home page. There's still some stuff to fix. Thanks for your patience Tommy. 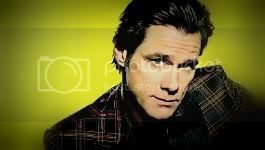 annie wrote: I choose to BELIEVE that Jim Carrey did say, "I love this website so much that I could kiss all the females who post on it!" Hahahaha! If only! :p Very poetic posting a hitting the wall-smiley after there... Kinda symbolic for how impossible it would be in the first place unfortunately! can the forum do a correct spelling of Drew C-A-R-E-Y's last name and Jim's last name? in the long run it really doesn't matter though. We should right in "New Topics"
"OK, just leave them alone, their having a PMs day"
think you'll fix it on a day when there's nothing else to fix? I do not have that option. Mods can't fix the site we can just edit and delete posts and thats it. Why is it bothering you so much its just one little extra r. SOOOO many of Jims fans think his last name is spelled with just one r so thats probably why they make it so the site automatically corrects it. So whats better? Seeing Drews name spelled "Drew Carrey" once every 500 years or seeing Jims named spelled "Jim Ca.r.ey" in 5000 posts on here? but sadly, I forgot the cable to download on to memory stick.